The presenter of BBC 1's Pointless took time out from acting, singing, presenting and writing to talk to Country Life. The comedian, actor, writer and television presenter, who fronts BBC1’s hugely popular quiz show Pointless, also regularly presents Have I Got News for You and was half of the comedic partnership Armstrong and Miller. Brought up near Morpeth in Northumberland, Alexander gained a music scholarship to Durham School at the age of 16, before going on to study English at Trinity College, Cambridge. An accomplished singer and performer, his latest album, Upon a Different Shore, is out now. He lives in Oxfordshire with his wife, Hannah, and their four sons. 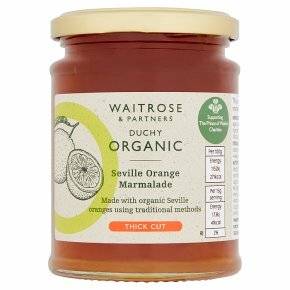 I’m very fussy about marmalade and Duchy Organic Seville Orange Marmalade (£1.99), in my opinion, is the nonpareil. No one has nailed the texture and the tang (not to mention the colour) as well as the Duchy. I think I’d rather forgo breakfast altogether than have the wrong marmalade. It’s hard to believe, but I have been to places where apricot jam has been proffered as an alternative—I don’t even know where to begin with that. Every time I pass The Refinery’s shop in London’s Brook Street, I stock up on its shave foam gel (£18). It’s slightly odd that shaving foam (of all things) should be something I’m particular about, but I think it’s because this smells so good: strong clove-y notes of Bay Rum—a very elegant scent to start the day with—and there’s a very pleasing ‘clag’ to the foam, too. The Coravin Wine System (£199) is ingenious—it sticks a tiny needle through the cork, enabling you to draw off a glass or two without uncorking the bottle. It also replaces the wine you’ve removed with argon gas, so what remains is kept pristine. It means you can have a virtuous single glass of something really delicious without any guilt whatsoever.